The new generation of gaming GPUs has brought with it a real gem – the Nvidia GeForce GTX 1660 Ti. Yes, we know that RTX cards are all the rage now. However, not only are they pretty damn expensive, but there are also too few games that take advantage of this new technology! Not the GTX 1660 Ti, though. It may not be able to compare on a technical level, but with its introduction gamers are finally able to get the most out of 1080p gaming at a much lower price. 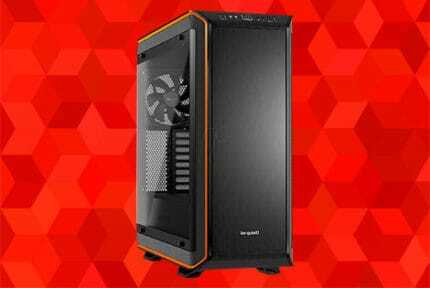 So with that in mind, we give you the best gaming PC under $800, with enough power to topple yesteryear’s $1000 solutions with ease. So, what exactly can this PC do?Why, we’re glad you asked because there are no fewer than three points in which this PC excels: 1080p gaming, VR and streaming, and overclocking. Much like its predecessor – the hugely popular GTX 1060 with 6GB of VRAM – the GTX 1660 Ti is a graphics card that will let you max out pretty much any game while still providing you with a stable 60 FPS. In fact, it’s much closer in performance to the GTX 1070. And we only say ‘pretty much any game’ because of some poorly optimized hardware-eaters out there like Assassin’s Creed Odyssey. But even in games such games, the framerate should never drop below 45 FPS, and keep in mind that this is with every single graphics setting turned on and cranked up the max! Tinkering with the graphics options just a bit should easily get you a stable 60 FPS even in games like Odyssey and Metro Exodus. As for most other AAA titles, they inch closer to 100 FPS than 60. In fact, you can easily get 60 FPS in 1440p in most of them, and even 30 FPS in 4K in the better-optimized ones, but the convention is to make these benchmarks with everything set on Ultra, so with that in mind we proudly grant the GTX 1660 Ti the title of 1080p Master. And with such an immense processing power – especially with Ryzen 5 2600X’s high clock speed and thread count thrown into the mix – it should come as no surprise that this gaming rig is ready for anything. Granted, it won’t let you max out VR, but if you’re interested in the technology, then this PC will let you take it out for a spin. Streaming is also a breeze, although you may want to invest in a capture card to help take some of the strain off your hardware. It’s not that the hardware can’t take it, but this way you won’t have to compromise your FPS and graphics settings in the process. And of course, then there’s overclocking. Now don’t let the light adjective throw you off! This PC is stacked, and the only way we could’ve made it more overclocking-friendly would be by sacking the butchering the base performance. Still, there is some potential. The Ryzen 5 2600X comes with a very decent cooler that can handle some overclocking. If you’re looking to take it to the next level, you’ll, of course, have to invest in an aftermarket solution (as well as a better motherboard), but even without it, you’re free to inject that little extra bit of productivity into your gaming rig at any time. The same goes for the GPU. 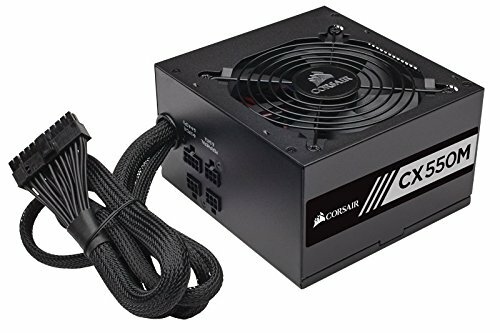 This build may not use a triple-fan monster of a card (nor do we recommend triple-fan GTX 1660 Ti cards as they’re dangerously close to the reference RTX 2060 in price, in which case the value goes in the favor of the RTX), but they can still handle the extra nudge in the right direction. But enough of that! We know why you’re here – to see whether the hardware we’ve selected elicits a concurring nod or a dissatisfied shake of the head. So without any further ado, we present the parts that will dominate the $800 price range in 2019. We said it before and we’ll say it again – the AMD Ryzen 5 2600X is the most cost-efficient mid-range CPU out there. Sure, it may have weaker single-core performance than the Intel i5-9600K, but it more than makes up for this marginal performance gap with its lower price tag and included stock cooler that actually presents some real value. And besides, it’s no slouch either, what with a 3.6 GHz base clock speed and a Boost frequency of up to 4.2 GHz that takes it comfortably above the widely-coveted 4.0 GHz mark. And that’s without the overclocking, which we’ve already discussed. To put the performance in perspective: you’ll be getting around as little as 2 and as much as 20 FPS less with the Ryzen 5 2600X than you would with the Intel i5-9600K, which costs $70 more and requires an aftermarket cooler! Now 20 FPS is no small amount, but we must emphasize that discrepancies this large only start kicking in way past the 60 FPS mark. In fact, they’re much closer to 100 FPS. And the difference between 100 and 120 FPS is nowhere as noticeable as the difference between, say, 50 and 70 FPS. 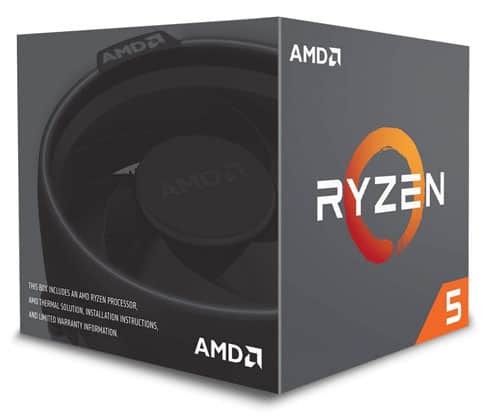 One of the best things about the Ryzen 5 2600X is, again, the fact that it comes with a stock cooler that’s actually good – the Wraith Spire. It doesn’t have any extra features so to speak of, like the LED lighting that the Wraith Prism has, but we certainly don’t mind this functionality over form approach. 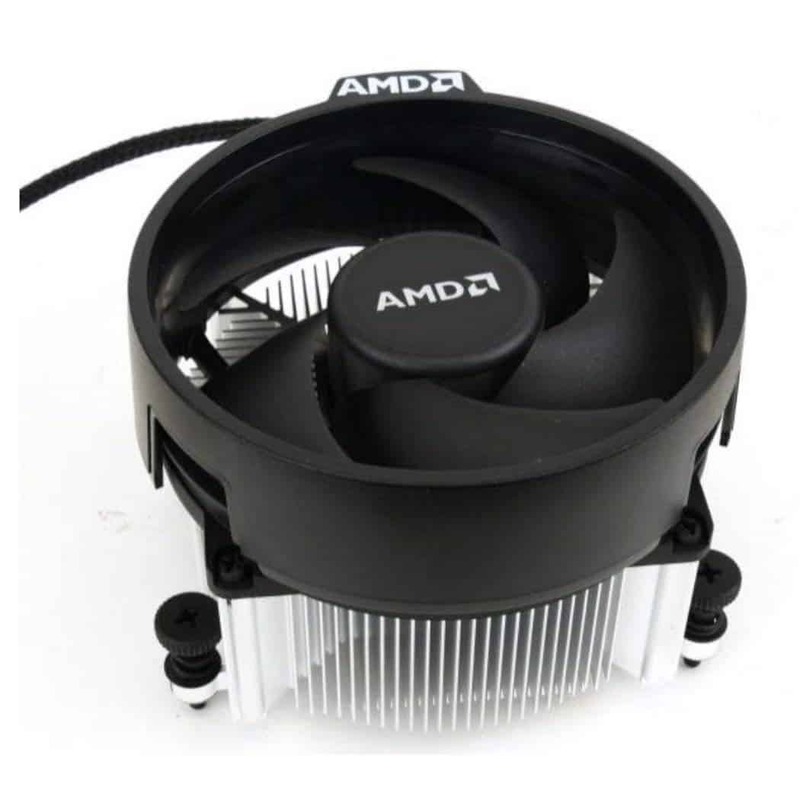 Most importantly, it’s capable enough to get the most out of this build (which not many stock coolers are) without you needing to go invest into any aftermarket solution. And here it is, the bread and butter of this build, the thing that makes it all work, the next-gen GPU from Nvidia with a price-to-performance ratio that gamers have been begging for for years – the GTX 1660 Ti. 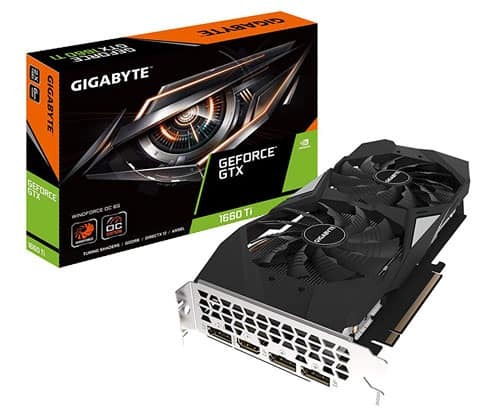 More specifically, the Gigabyte GeForce GTX 1660 Ti Windforce OC! Now we’ve touched upon this already, but we’d like to reiterate our stance on this being the most optimal and most cost-efficient card in the 1660 Ti line. Why? Mostly because it’s a dual-fan card. Single-fan 1660 Ti cards are by no means bad, and they should perform comparably as well, but at the expense of noisier performance and no real overclocking potential. And triple-fan models, in this case, get the short end of the stick just because they’re so close in price to the RTX 2060 that they end up not being worth it. And despite only having two fans, this graphics card lives up to the Windforce moniker, with the fans spinning in alternate directions and featuring 3D modeled curvatures on the fan blades, all for the sake of better airflow. Add to that a base clock speed of 1500 MHz with an 1845 MHz boost (which doesn’t lag too far behind the 1890 MHz boost of the triple-fan Asus ROG Strix GTX 1660 Ti OC), you can see that this here model is no slouch. And we mustn’t forget about the sweet 6 gigabytes of GDDR6 memory. If you want to game at 60 FPS on ultra-settings in even the latest AAA title, then this is the graphics card that’ll get you there. Once you add all this up it becomes obvious that no sub-$300 graphics card has ever offered as much value as this one does. Performance-wise, it meets and often exceeds the last-gen GTX 1070 that launched at a much higher price point. As for RAM Memory, we’ve decided to go the extra mile and stack this gaming rig with 16 GB of Corsair Vengeance LPX. You could technically get by on only 8 GB, but if the idea is to max out the settings in every game, you certainly appreciate the extra mileage that you’ll get out of 16GB, and even more so the fact that you won’t have to worry about closing all unnecessary background processes every time you want to game. At 2400MHz this may not be the fastest RAM, but it certainly gets the job done. And besides, the benefits of faster RAM aren’t as impactful as the benefits of more RAM, especially when we take into consideration how quickly you hit the point of diminishing returns with regards to cost-effectiveness. 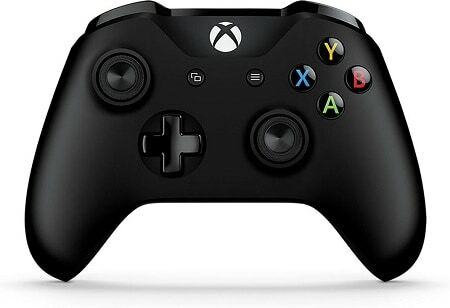 Instead, we’ve chosen to inject that extra bit of performance by opting for dual-channel memory with two 8GB sticks. This will not only have a positive effect on performance, but it’s also a better option than having a single 16GB stick since, should one of them fail on you, you’ll still be able to run on the remaining 8GB until you find a replacement. You can always check and see whether there are any faster RAM sticks on discount before finalizing your purchase, but they just aren’t worth it at full, even if you weren’t trying to meet this budget. 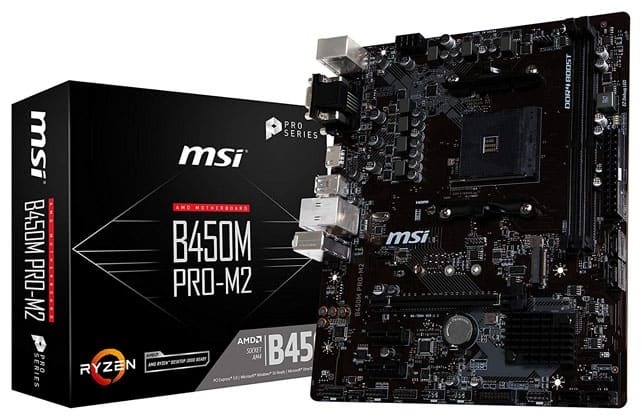 The MSI B450M PRO-M2 is a budget motherboard through and through, and as such there aren’t really any special features so to speak of. It’s more of a bare necessities kind of deal, which isn’t ideal, but we had to make certain compromises to meet the budget, and in this case, we decided to leave the motherboard as is in favor of increasing the RAM capacity. Ultimately, what this means is that you’ll start off with significantly better performance, but with slightly less wiggle room for upgradability. Being that this motherboard does use the AM4 chip, it should be compatible with the upcoming 3rd gen Ryzen CPUs, so that part is covered at least. And the motherboard caps out at 32 GB of RAM, which is much more than you’ll need for the foreseeable future. Overall, for a PC of this budget, the PRO-M2 should work perfectly fine so long as you don’t intend on doing any serious overclocking. One of the few extra features that it does have, however, is that fact that it’s VR ready, so if you’re keen on taking a VR headset out for a spin, the motherboard will do everything in its power to maximize the performance. Now while the type of storage you use doesn’t have any direct bearing on performance in terms of FPS, going with an SSD will still improve your gaming experience tremendously by significantly reducing the time you’ll be stuck looking at loading screens. 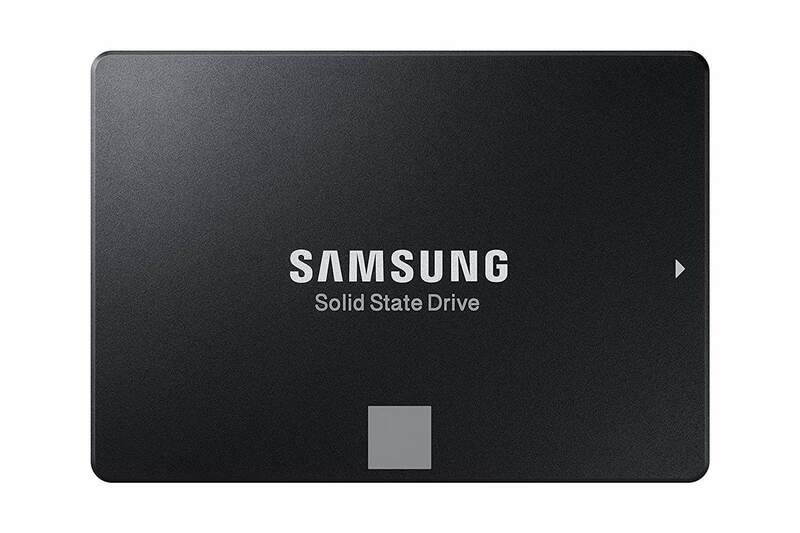 And the Samsung 860 Evo is the best SSD storage you can get for gaming. It’s one of the fastest gaming-grade SSDs that use the SATA III interface, but more importantly, it’s one of the most durable and most reliable SSDs in this price range as well, with even a 5-year warranty to keep your mind at ease. The only problem with it could be the limited storage. 500GB isn’t unusably small – it’s what most laptops have, even gaming ones – but it’s far from liberating. Still, if you’re highly unlikely to need more gigabytes of SSD! If you need extra storage for dumping stuff like pictures and videos, then an HDD should do the job just fine (even better maybe, since HDDs still have an overall longer lifespan than SSDs). In this case, we suggest going with Western Digital Blue‘s 1TB option. It’s hardly gamer-grade, at only 5400 RPM, but this really is plenty given that all of your games should be on your SSD along with the operating system. This will, however, make you exceed the $800 budget by a bit, but you can minimize the excess by going for a 250GB version of the SSD. And to keep this hardware running without any hiccups whatsoever we present: the Corsair CXM 550W 80+. 450 Watts would still be plenty to run this rig without any issues, but we like the extra headroom that having 550 Watts gives you. More importantly, however, this PSU is 80 PLUS Bronze certified. This means that the PSU is more efficient than non-certified models. Ideally, this means that you should save up on some cash in the long run, but this is hardly the reason we opted for a Bronze certified model. What drew us to it the most is the added reassurance of quality that’s also reflected in the 5-year warranty. … Corsair Carbide 100R! The 100R is hardly the most visually stunning computer case out there, but if you’re looking for the most cost-effective case that places functionality at the very forefront with form left only as an afterthought, then no case in this price range can match it! 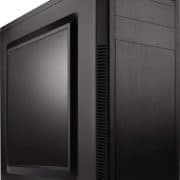 It features good airflow, 2 USB 3.0 ports, simplified cable management, and has some of the most easily manageable SSD/HDD racks you can get at this price. It also comes with one preinstalled case-mounted fan on the back, with support for two more on the top and two on the front of the case. Five fans is a bit of an overkill, however. Even the single pre-installed fan should do a lot to improve the airflow, although adding another one on the front definitely can’t hurt. Everything after that serves more as eye-candy that cooling solution. 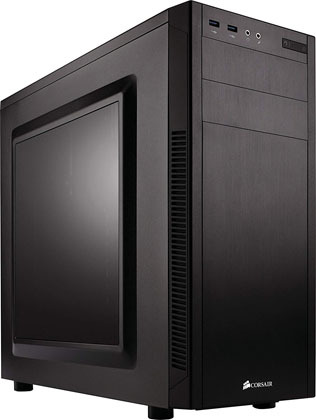 And speaking of eye-candy, this case may not be gorgeous, but it is very inconspicuous with a simple black exterior that’s sure to blend into any gaming environment. So overall, it should never detract from the visual aesthetics of your gaming setup, although it can still augment it thanks to the side panel window that will testify to the fact that this case is stacked with powerful components. But you need more than just hardware in order to game (although the hardware is the only thing that we took into consideration for the budget!) – you also need peripherals. And not just any peripherals will do. So here to enhance the functionality of this PC we’ve handpicked some essential peripherals. These are by no means irreplaceable, and if you’re happy with the equipment you’ve already got, by all means, feel free to just migrate it to this new gaming rig. But if you want cost-effective peripherals with the performance to match this PC then read on. Now like we’ve said, this PC is stacked, and while Linux has been making strides to offer better and better gaming experiences (with Vine and Steam even allowing you to play some Windows-only titles on Linux), Windows still remains the best option if you want to get the best performance out of your hard-earned hardware. Now here is where things get tricky. 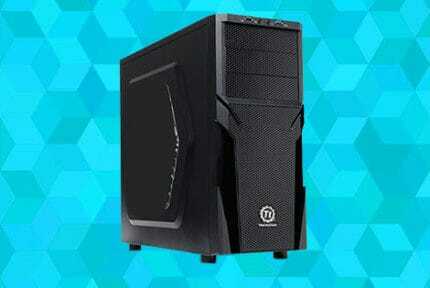 Like we’ve said, this $800 PC easily meets and even exceeds the best $1000 PCs of last year in terms of performance. In terms of value, this is excellent; it’s all any gamer could want! But when deciding on peripherals to feature in these guides, we also have to make sure their price is proportional to the budget. And seeing how a monitor that could get the most out of a $1000 PC last year still costs pretty much exactly the same… well, you see where we’re going with this. So with that in mind, we’ve decided to showcase more humble monitors without many extra features like G-Sync (which would be compatible with this PC). We also have to take performance into account, and this PC can cater to two distinct profiles of gamers. It can handle 2K gaming at 60FPS (with some clever management of the graphics settings) for maximum eye-candy, so that will be one model, but there will also be a solution for those you are more interested in higher refresh rates than higher resolutions. 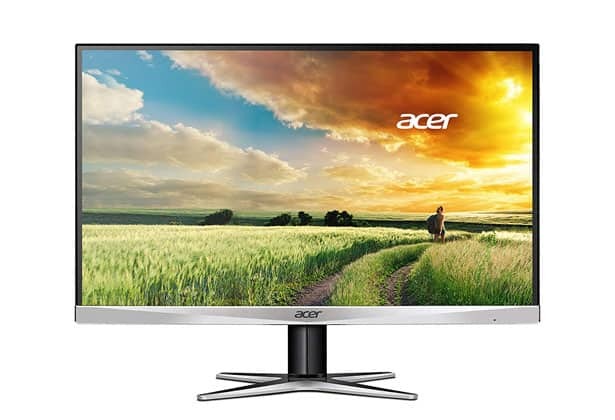 As for your 2K 60FPS needs, we figured the best monitor to cover them at a reasonable price would be the Acer G257HU. It’s not the largest 2K monitor, but at 25-inches it’s not like you’ll be missing out on a lot (27 inches is the largest a monitor should be for comfortable up-close viewing), and the pixel density will be amazing. What’s more, 25-inches isn’t too large for 1080p gaming, so if ever a game comes that your PC won’t be able to run in 2K at a satisfactory quality preset, you’ll be sure to appreciate this monitor size. Couple this with the IPS panel and you’ve got a monitor that will wow you with its stunning image. However, if you’re into competitive multiplayer, you’ll care more about performance than image quality. If this is the case, then you’ll want a 1080p monitor with a TN panel that can handle a 144Hz refresh rate and 1ms response time without breaking the bank. And one of the best monitors that can meet these requirements has got to be the AOC G2460PF. But not everyone likes a heavy mouse. In fact, FPS games are all but sure to hate them. 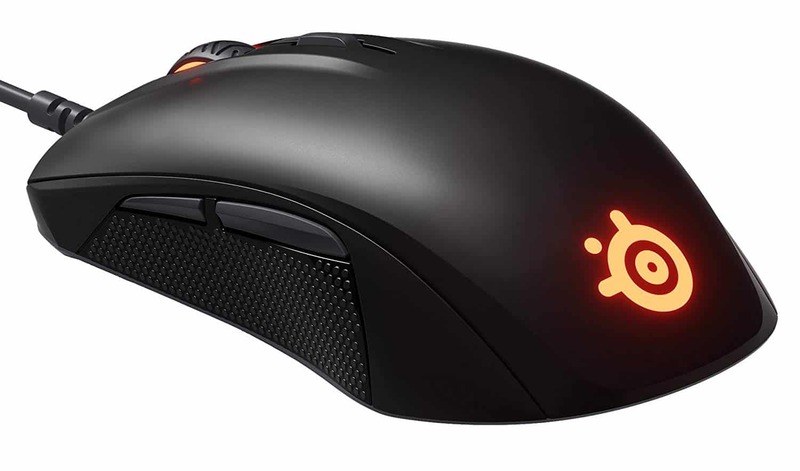 So if you want a faster, more high-octane gaming experience that’s perfect for shooters but also good for other genres, then you’ll love the SteelSeries Rival 110. It may not look impressive at first glance, but it doesn’t look too shabby either, what with the simple but elegant LED-lit logo and textured grips. Still, for a sub-$30 mouse, it definitely offers more than most, with a universal grip, high click durability, and best of all: some genuine customizability through the Engine 3 software that lets you fine-tune the acceleration, deceleration, and angle-snapping to your liking. 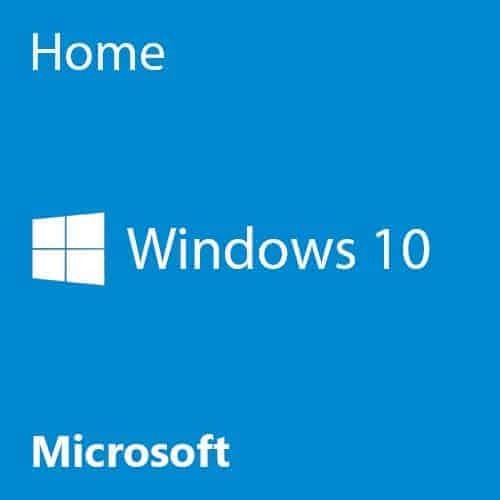 But it’s not just the monitor that has to keep up with the high standard set by the hardware – other peripherals have to keep up the pace too. But you needn’t worry about that with the HyperX Alloy FPS keyboard, as two of its most prominent features are maximum effort anti-ghosting and full N key rollover (which basically means that if you pressed the entire keyboard with your forearm, all the keypresses would be registered). 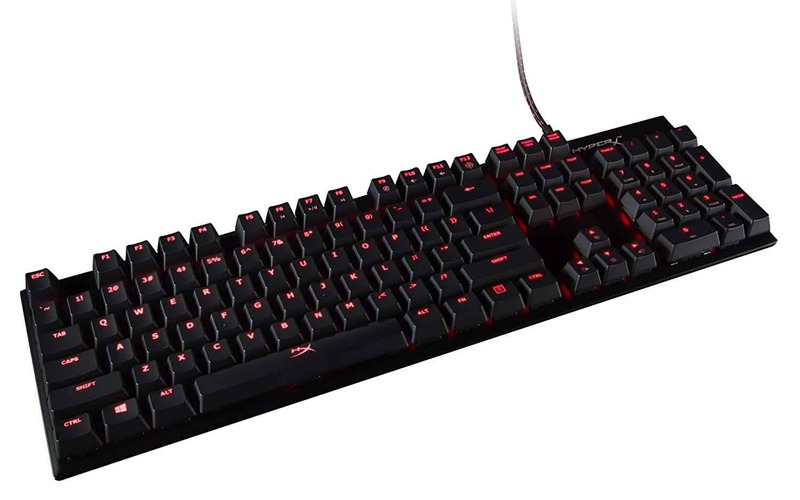 Overall, it’s a rather compact mechanical keyboard with the Cherry MX Red keys that wouldn’t look too impressive if not for the red backlit keys (with dynamic lighting effects), but it still packs many hidden conveniences that you’ll be sure to love. For example, it features a solid steel frame for extra durability, textured keycaps for added tactility, and a detachable cable for convenient portability. Plus, if you’re looking to save some extra bucks, you can get the tenkeyless version for $10 less. And in case this is too pricey for you or you’re just not all that big on mechanical keyboards, we have an excellent alternative for you that’s only slightly cheaper but features both a keyboard and mouse – the ASUS Cerberus Combo. The quiet membrane keyboard has a large ergonomic frame with an internal metal plate and drain holes to complement the splash-proof design (it’s also got all the essentials, like a switchable red/blue backlight, macro keys, and media keys). And the optical mouse is also very respectable as far as bundled mice go, with rubber side grips and some nice weight to it. We went out of our way to try and find the most cost-effective peripherals so far – ones that won’t leave your wallet in a state of decay but will still offer phenomenal performance for their price, but with the gamepad, this isn’t as easy. Yes, there are many decent gamepads out there, and going with any of them is fine if you need the pad for just a game or two (and these games aren’t platformers or fighting games – in this case, the GameSir G3w still remains the most cost-effective solution if you can get over the flamboyant exterior), but if you intend to make thorough everyday use of the gamepad then you’ll be grateful for going with the Xbox One controller, trust us. The DualShock 4 is just as good an option, but even with the Steam support, it can act a bit wonky at times, so we recommend the Xbox One controller to most users for the added convenience. Aside from the superior comfort, these controllers have the durability to match even the most demanding gaming habits. And if you’re curious whether you personally might favour the DualShock 4 over the Xbox One controller, check out this video where we pit the two in a death match. 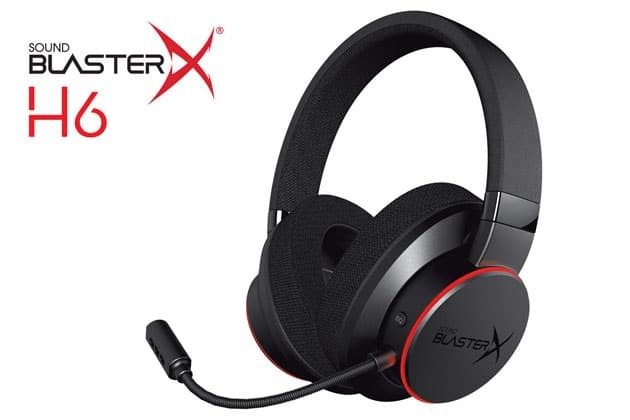 And if you also need a headset to take your gaming to the next level, we highly recommend the SoundBlasterX H6. This new headset comes with plenty of cool features for gamines, most notably the virtual 7.1 surround sound and the new scout mode that will give you a borderline unfair advantage over your opponents in online shooters. However, unlike the bulk of the competition, it doesn’t attain this excellence for gaming at the expense of everything else! If you need a headset that will be as good in games as it will be for watching movies or listening to music, then the H6 is like no other. Not to mention the fact that it’s easily one of the most comfortable headsets in its price range, and with a great microphone to boot! Like we’ve said, this PC is more than powerful enough to take VR out for a spin. Mind you, it won’t be able to max out the graphics in virtual reality, but it will be good enough to make the headset perform admirably. 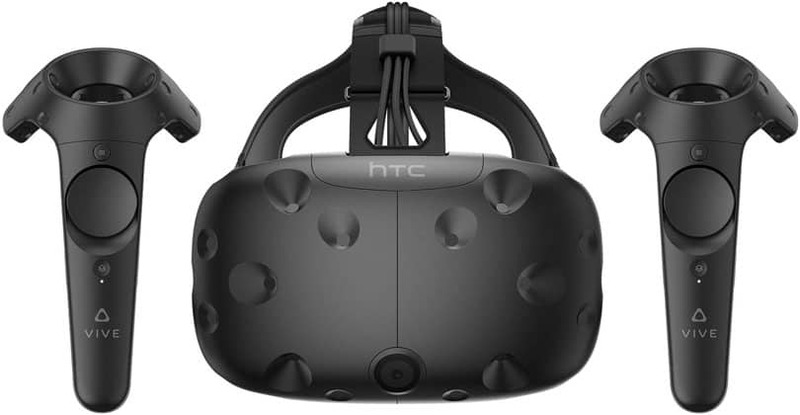 And if you are keen on testing out this technology, then we can recommend no other VR headset over the HTC Vive. Well, the biggest reason has got to be the SteamVR feature. Steam has been racking up VR titles for years now and shows no signs of stopping, and if you’re anything like us, you enjoy having all (or at least most) of your games on a single platform. Besides, SteamVR will also enable you to play certain games in VR even if they weren’t designed for it! So who knows, perhaps your Steam library is already filled with some hidden gems that you wouldn’t have any sort of access to on the Oculus Store. To reiterate, we don’t think the Rift is a bad choice by any means, but for the bulk of the gaming populace, we still recommend the Vive. One other thing you might enjoy – especially given that the HyperX Alloy FPS keyboard has no regard for ergonomics – is a wrist rest. Now seeing how the keyboard on its own is already scratching the top of the price range proportional to the PC, we went ahead and choose one of the most affordable wrist rests to feature: the Redragon P023. It’s not the best wrist rest around, but at the price of just $10, we could ask for no more than what the P023 already provides: soft memory foam padding hidden beneath a durable and washable exterior and with a silicon rubber base to prevent the wrist rest from moving, no less. And that’s about it for this guide. Now all that’s left is to put the pieces together. And if you’re at all hesitant about it, don’t worry. The video below will take you to a very detailed (and long) step-by-step guide on transforming the hardware you have into a functioning whole. In summation, there’s nothing else we can say but this: It’s a good time to be a gamer and the best time to build a PC that can max out 1080p for just $800! So seize the day and accept no compromises: gaming glory awaits!